← Way to go, Clubs! There’s an old saying about how the reason BUSINESS is eight letter and SHOW is only four is because two third of SHOW BUSINESS is BUSINESS. I recently signed up for a thing called Connected Comedy. A few times a week I get emails from Josh Spector giving comedians tips on the business side of comedy. It’s hugely helpful to me since that’s an area I’ve always been lacking. I save those e-mails as new and when I have a little bit of free time I look at some of the tips to see what I can incorporate into what I’m already doing. It’s an incredibly valuable resource that I urge all comedians to sign up for. I wanted to know more about how it began, so I shot Josh some questions. Here’s what he had to say. I hope you enjoy. What made you decide to start Connected Comedy? Besides being passionate about comedy, marketing, business, and technology, there’s really two main reasons why I started Connected Comedy. First, I felt like I had accumulated a good amount of knowledge about the comedy business and in particular how to promote comedy content and grow a fanbase using digital tools. I looked around and while I saw tons of resources for comedians to learn how to perform stand up, sketch, or improv, I didn’t really see any that were teach comedians how to build a fanbase and grow their career. I thought that was something I could do. The second reason I started Connected Comedy was because I saw it as an opportunity to try out much of what I thought I had learned and see if I could implement these same strategies to grow my own fanbase and launch a business. While I’m not (and never have been) a comedian, I think that most of what you do to attract an audience and then eventually monetize that audience by providing value is the same no matter what specifically you’re trying to pursue. Connected Comedy has given me (and continues to give me) a great opportunity to learn hands-on what works and what doesn’t when it comes to using social media to build a business. There’s been lots of little things I’ve seen people do that I recognize as good ideas, but the truly big stuff that has influenced me typically has come more from marketing and business experts. Specifically, author Seth Godin has been a huge influence on me and in particular his book “Tribes,” which I recommend every comedian read at some point. What’s the one thing you notice comedians not doing that they really should be doing? I think there’s two things that comedians should be doing more of. First, the vast majority of comedians still don’t seem to understand that the future of their career is really now in their own hands. I see way too much waiting around for a break, to get discovered, or for somebody else to give them permission to have a career. Comedians obsession with bookers, clubs, agents/managers, and festivals are all ways to avoid facing the fact that you can now create your own opportunities. Not enough comedians realize that. The second thing I don’t see enough comedians doing is really pouring a lot of time and effort into creating content online. Whether that’s videos, a podcast, a blog, or something else, comedians now have the opportunity to reach the entire world at virtually no cost yet most of them can’t even get it together to build a respectable website (which doesn’t even have to cost any money!). Comics will obsess over getting more stage time in front of 20 people, yet will ignore the millions they could be reaching online. I don’t get it. Patton Oswalt spoke at the Just For Laughs Festival in Montreal about how we, as artists, don’t necessarily need “gate keepers” anymore to open doors for ourselves because we have the technology to reach everyone. How do you see the future of comedy and the arts? I agree with everything Patton said and it’s been really interesting in just the past couple years since I started Connected Comedy to see how big name comics are starting to capitalize on the opportunities I’ve been trying to preach since I started. I’m certainly not taking credit for it, but hopefully as more people like Patton and Louis CK are out there talking about how the business has changed and showing younger comics what is possible, the message will start to be better understood. I don’t think that Hollywood is going away any time soon and there will always be clubs, festivals, and a comedy “industry.” However, the balance of power is about to shift dramatically to the individual comedians and away from the gatekeepers. And the comedians who understand how to work in that new world order are the ones that will succeed. Just look at the music industry – the same thing has happened there as the labels don’t have anywhere near the power they once had and the only new artists that can succeed are the ones that understand how to build their own fanbase. Thank you so much for Josh for taking the time to answer those. 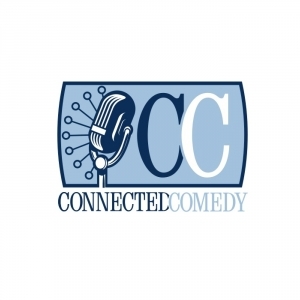 Please check out Connected Comedy where you can sign up for the newsletter, read a ton of helpful articles, listen to the podcast and even sign up for classes. Posted on August 9, 2012, in More Misadventures! and tagged Comedian, comedy, connected comedy, josh spector, mike bobbitt, off the mike, offthemike, tips for comedians. Bookmark the permalink. 5 Comments. I goofed and hit the wrong button. I am a Personal chef/caterer. I have been involved in theatre & music, art, photography my whole life. However, I don’t usually get up on the stage these days. I have been involved with “The Egg Roll Invitational,” in Berkely, MI since June due to the fact that Angel Busque was a dear, dear friend and This comedian, Artist’s life was involuntarily robbed from her by Lupus at a very young age. I really appreciated this article. It has inspired me in my own business and also reiterates why Comediennes are some of the smartest, most talented people I have come to know. Thanks for the site! I am inspired. I’ve just started listening to the Connected Comedy podcast and it’s interesting how ideas for other branches of the arts can be applied across the board. I’m glad you like this. Words will never be able to express how much I miss Angel. Looking forward to some of your other posts.